4 stars of charming and amusing family fun. 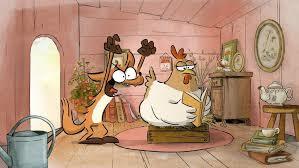 The Big Bad Fox is written by Benjamin Renner (Ernest and Celestine) and directed by Benjamin Renner and Patrick Imbert. It was originally a French production and is presented here with both a star studded English dub and the original French track. 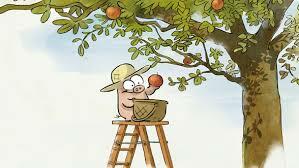 The Big Bad Fox and Other Tales takes the form of three separate stories, all presented in charming animation by the Honeysuckle Farm Theatre Company, and introduced by the hapless Fox (Giles New – Mary and the Witch’s Flower, Ella Bella Bingo). The first tale is ‘Baby Delivery’. A lazy stork (Phil Whelans) cannot be bothered to deliver his charge, so he finds Honeysuckle Farm and leaves the unfortunate baby, Pauline, in the hands of the residents to deliver to Avignon. They are a very responsible Pig (Justin Edwards – The Thick of It, Paddington 2) a very immature but enthusiastic Duck (Bill Bailey – Chalet Girl, Burke and Hare) and his partner in crime, a Rabbit (Adrian Edmondson – Bottom, Guest House Paradiso). Together they must find a way to get the baby to her parents. The second Tale is ‘The Big Bad Fox’. 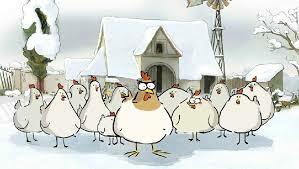 Our favourite Fox and his nasty friend the Wolf (Matthew Goode – Stoker, Watchmen) are trying to steal chickens from the farm, but are constantly foiled by a Chicken (Celia Imrie – Imagine Me and You, Nanny McPhee) and a disinterested Dog (Phill Jupitus – Pete the Cat, Bottom Knocker Street). Eventually they decide to steal eggs and raise them until they are big enough to eat, but even that proves more difficult than they thought. The third and final tale is ‘Saving Christmas’. 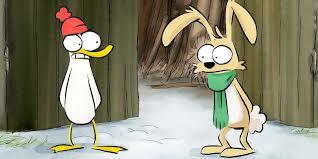 Much to Pig’s annoyance, Duck and Rabbit manage to get themselves into all sorts of scrapes after they mistakenly believe that they have killed Father Christmas and they should replace him and deliver the presents to all the children. 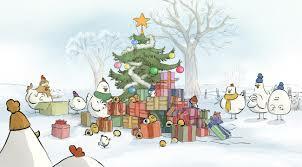 Just in time for Christmas, The Big Bad Fox and Other Tales is a delightful film with a lovely hand drawn animation style and excellent original music by Robert Marcel Lepage. The story is gentle enough but has sufficient comedy and mild peril to keep the viewer engaged right through. The English dub is very well done, with lots and lots of familiar voices and this release also features the original French track for any aspiring French speakers in the house! There is plenty here for everyone and with Christmas just round the corner this is an excellent stocking filler that the whole family can enjoy. 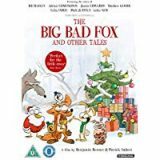 The Big Bad Fox and Other Tales is available to buy now on DVD and Digital Download.